Marnie Powers-Torrey is the Managing Director of the Book Arts Program and Red Butte Press at the J. Willard Marriott Library, University of Utah. [Salt Lake City]: Marnie Powers-Torrey, 2017. Variable edition of 40. 2.5 x 2.5" closed, extends to 10 x 10"; one sheet book. Snake fold. Signed on back page of book. In paper slipcase with printed titles. Hand-numbered on slipcase. Marnie Powers-Torrey: "This small boustrophedon takes notice of the intricate waste that proliferates at America's roadsides. The book is a grid of micro-meditations that attempt to balance our startling misuse of the planet with human beings' incredible ingenuity. The prints document tiny indicators of how our country thrives and falters, each small page a critical piece of an unknown something, and the book structure a map of discarded pieces of the great American puzzle. 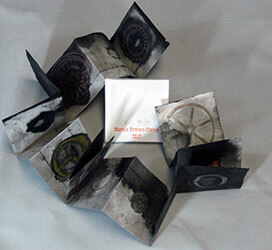 The found objects were inked and printed on Masa via letterpress and gelatin monoprinting. 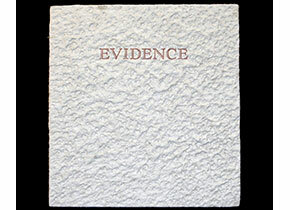 Each single sheet was treated with a sumi ink and salt wash, folded, and housed in a paper slipcase which is signed and numbered by the artist." Salt Lake City, Utah: Marnie Powers-Torrey, 2016. 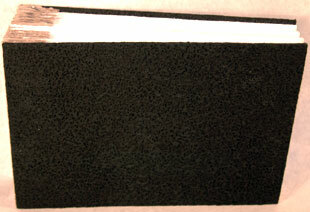 Edition of 32. 4.75 x 6.75"; 14 pages including pastedowns. Letterpress printed from polymer and metal type. Bound in paper over boards with cloth spine. Signed and numbered by the artist. Marnie Powers-Torrey: "Edition of 32, the age of the artist when she became pregnant and gave birth to her second child, realizing that she'd never be the same again. "Work on this book began in 2006 in a workshop with the brilliant Julie Leonard, just after the birth of the artist's third and last child. After nine years of gestation, the book was finally released into the world. Imagery is derived from circular ink washes suggesting the cyclical nature of being, constancy of motion, revolving planets, ripe ovum, and lactating breasts. 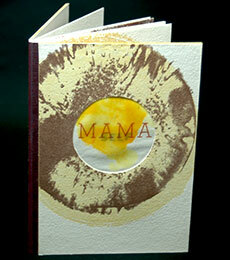 The text is experimental and broken, collected in haste throughout the early years of motherhood. Stripped of formality and exposing raw, maternal femininity, the words string together a visual poem of primal and authentic language. The book was printed in over fifty runs from polymer and metal type." Salt Lake City, Utah: Marnie Powers-Torrey, 2000. Edition of 15. 4.5 x 4.75"; 12 pages. Double-sided accordion structure. Handset Goudy Open. 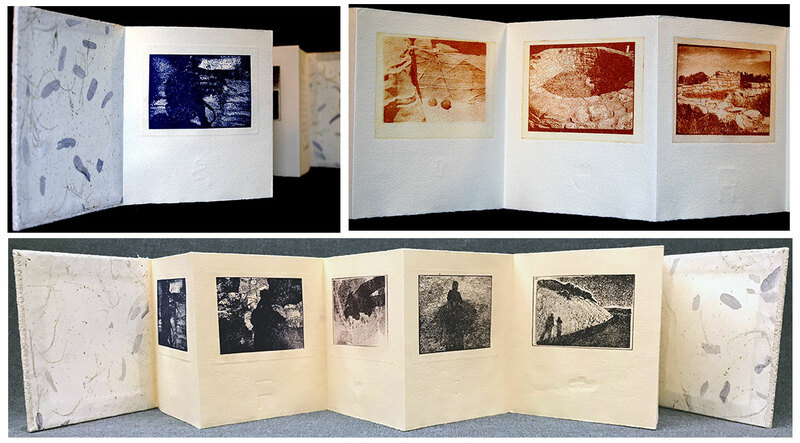 Photographs printed letterpress and intaglio from polymer plates and zinc cuts. Text printed from handset metal type on Alcantara papers. Bound in boards with title on front board. Signed and numbered by the artist. Marnie Powers-Torrey: "This two-sided accordion is an homage to the diverse and awe-inspiring rocks found in Utah and to the stories, both historical and geological, that they tell. The warm intaglio prints imbed the intensity of the desert landscape midday, and the letterpress images present the artist's reflection on rocks as the desert cools." Salt Lake City, Utah: Marnie Powers-Torrey, 1999. Edition of 15. 7.875 x 11"; 22 pages. Twentieth Century Medium Italic typeface. Handset and printed on an Asbern letterpress at the University of Utah. 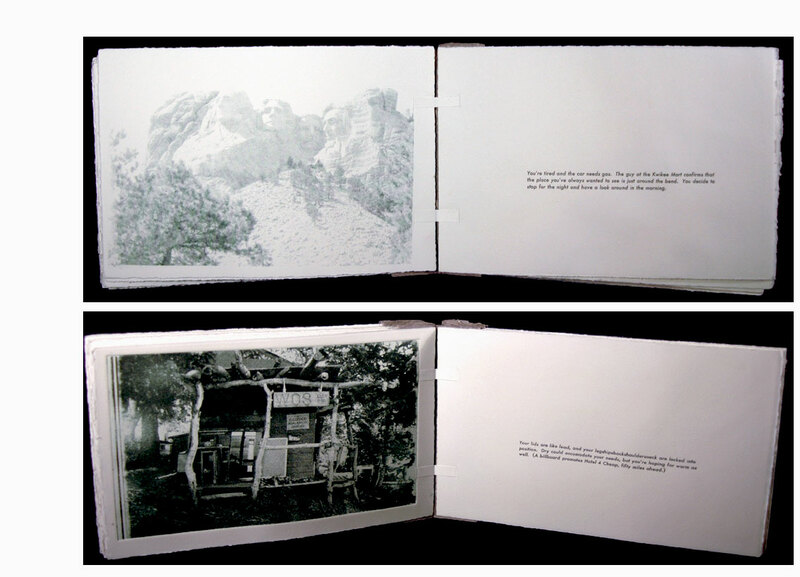 The photographs are gum bichromate prints, photolithographs, and intaglio prints from photopolymer plates. Concertina structure bound in boards covered in texture black paper. Marnie Powers-Torrey: "Visual and verbal snap shots taken through the lens of a car window by a twenty-something traveling across country. Individual stops are connected by the long road of the concertina spine." Text excerpt: "Each day on the road will pass while you watch out the window. Every morning you begin where the night left you, and by evening you have seen enough to fill three states. The days conjoin in your mind, forming a condensed conception of your collective experiences (which you will refer to as your trip across country)."